Eutelsat Communications (NYSE Paris: ETL), one of the world's leading satellite operators, and Camusat, a market leader in implementing telecom infrastructures, today entered into a partnership agreement that will enhance turnkey connectivity solutions for mobile operators in Sub-Saharan Africa. AREWA24, the first-of-its-kind free-to-air Hausa-language entertainment and lifestyle channel, announces a multi-year capacity lease with Eutelsat Communications on the EUTELSAT 16A satellite. 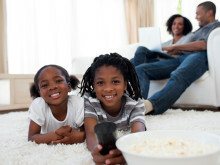 Leveraging the satellite’s Ku-band footprint that sweeps across sub-Saharan Africa, the channel is shifting towards a new and higher quality of broadcasting service. Strong Media SAL-Off-Shore has signed a multi-year contract with Eutelsat Communications that equips it to take its pay TV operations in Africa to a new level. SMO has leased capacity on the EUTELSAT 16A satellite to deploy a diversified range of English, French and Arabic-speaking television services over Sub-Saharan Africa.